1 scoop per day or more as needed before any activity requiring attention. An organic AFA extract of Phenylethylamine (PEA) and Phycocyanin. Capsules also contain Vegetarian capsules (plant cellulose and water). I have definitely noticed my ability to focus at my job improve. I struggle really hard on focusing. After I took the BrainON I was shocked how clearly I could think! Love BrainON, have it each morning! 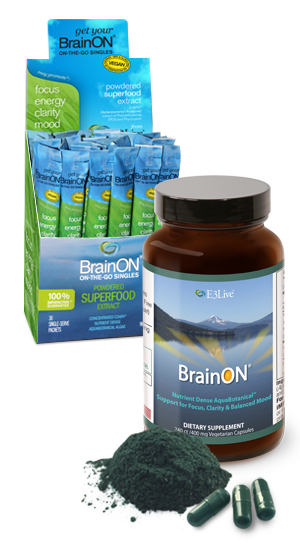 My husband and I have both been using BrainON since April. This product is amazing! I feel better and have been much more focused at work. I love BrainON! 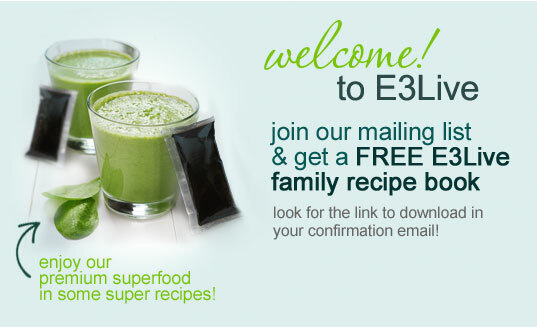 I am taking E3 live products fro a year now. I usually buy Renewme or AFA capsules. Work very good. You feel uplifted and full of energy, which what I need. I will be ordering Brain on again. I tried it once and really like what I see. Recommend to everyone. I love the E3 BrainOn Capsules. I am trying the liquid now. Very messy and does not dissolve easily. Stick with the frozen products. I am returning this item. Is an incredible product. I purchased this product after buying the frozen/ liquid. I cannot tell say enough how this has resolved ALL my misery. Amazing.